Henry Lyons (1805 - 1858), the eldest son of Isaac Lyons (1774 - 1843), was a Jewish merchant who arrived in Columbia with his father and elder brother, Jacob, in the 1820s. He served as Columbia’s warden from 1842 until 1850, when he was elected as the city’s intendent, or mayor, for one year, becoming the second Jewish man to hold this post. Sometime after 1839, Lyons and his wife, Elizabeth Wolff Lyons, purchased the four-acre garden, “Laurel Hill,” previously cultivated by renowned winemaker Nicholas Herbemont. Bounded by Gervais, Lady, Bull, and Pickens streets, the garden featured an astonishing array of local and exotic fruits and nuts that were regularly featured in the Charleston Courier. Yet Lyon’s greatest achievement was cultivating a new peach in the mid-1850s from grafts sent to him by Charles Downing. Downing, who first planted the seedlings from “Peach stones brought from China,” was ultimately unsuccessful in propagating them, leaving the sole "tree standing in Lyons’ downtown-Columbia garden. In 1858, the peaches from this tree were officially named Honey Peaches for their sweet taste. 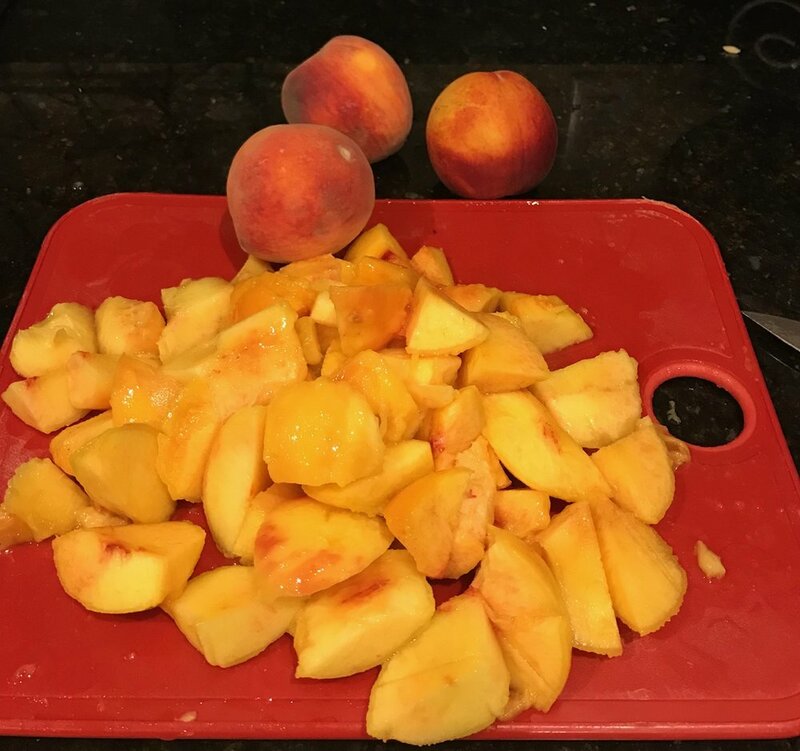 My recipe for peach cobbler is common and you will find variations of this in many publications, but I have found that my recipe is tried and true. Add a scoop of vanilla bean ice cream and it’s a real homerun! Melt butter in 9x13 baking dish. Mix together flour, 1 cup sugar, baking powder, and milk. Pour batter over melted butter. Do not mix. Add sliced peeled fresh peaches. Do not mix. Sprinkle remaining cup of sugar over peaches. Bake 350 F until crust forms and browns.